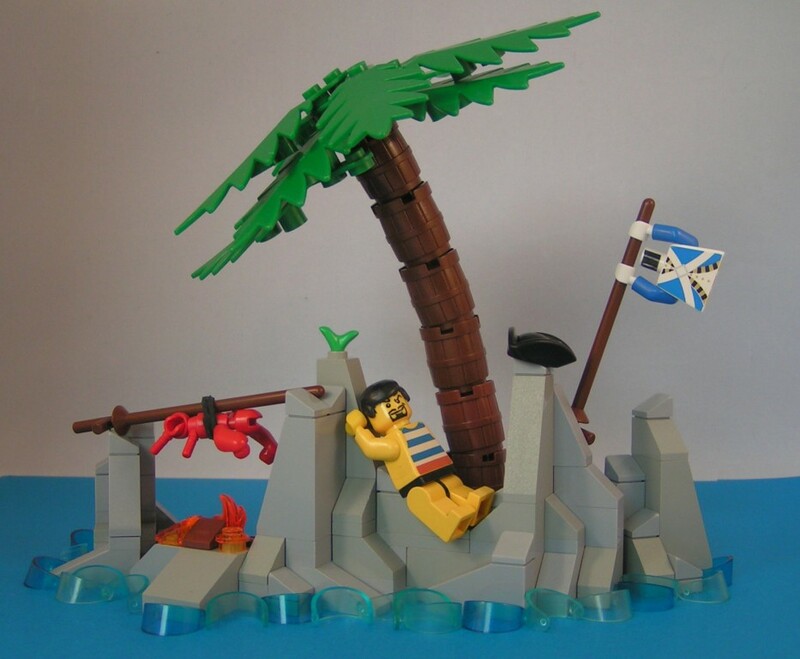 Jalkow trots out this cute scene complete with a poor shipwreck victim. I’m lovin’ all the details packed into this small space. Great scene! Great lobster! Love the use of the visors. Using the visors as waves is an ingenious idea! I think that the intention may’ve been to make it look like he took off his overcoat and hung it to dry it/signal to passing ships.